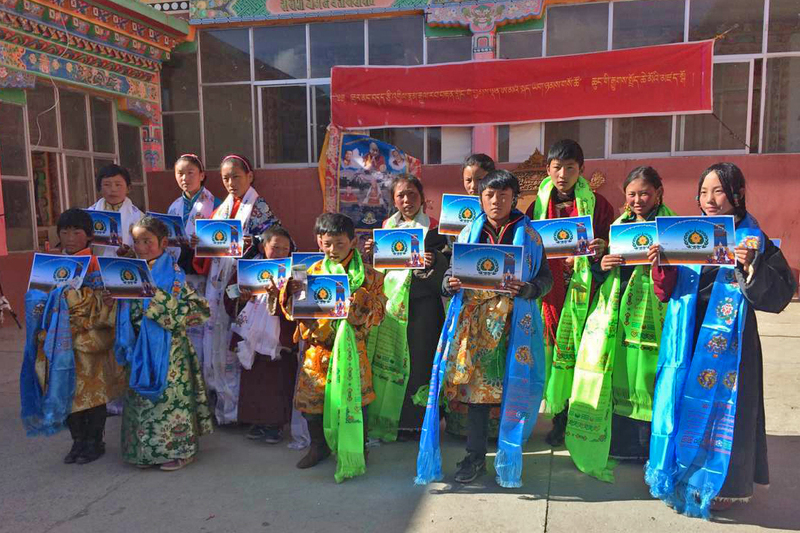 Photographs of the festive graduation ceremony at the Surmang Shedra, the culmination of the school year for the Children's Education program. 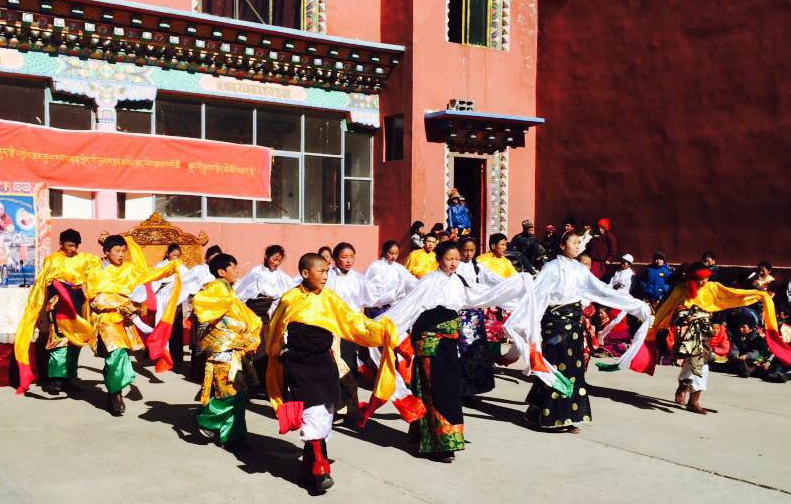 For Losar, the Tibetan new year, the winter session of the Children’s Education Program at the Surmang Shedra ended with a festive graduation and awards ceremony. The Surmang Shedra will hold another session for children after the new year celebrations wind down. These sessions of the Children’s Education Program are intensive, seven days per week. 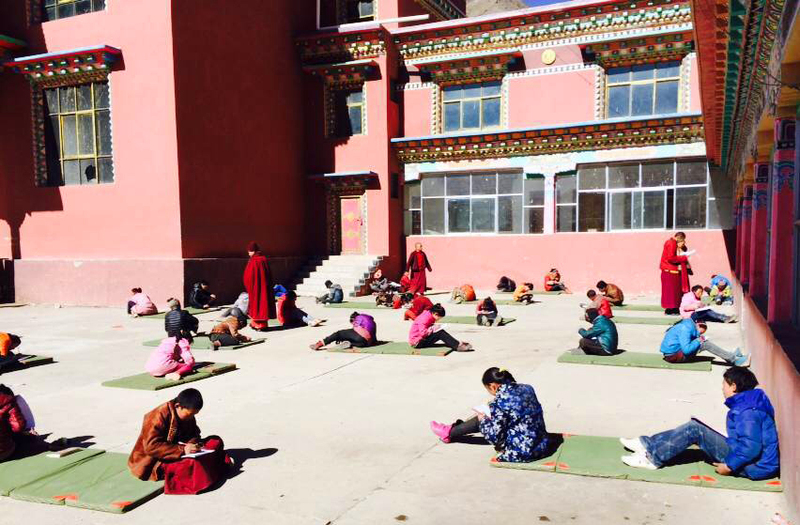 As usual, monks will teach the students, who are fed two meals each day while the school is in session. 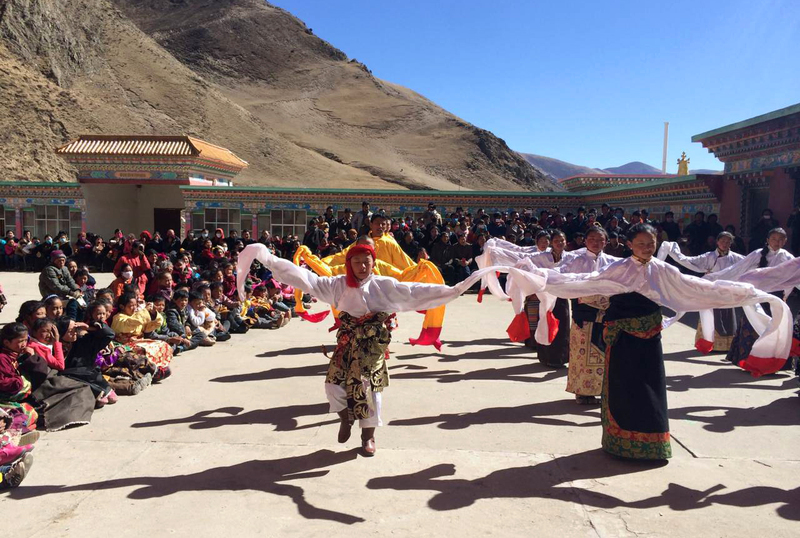 The graduation ceremony included traditional Tibetan dances performed by the students and attended by their families from the surrounding Surmang Valley. 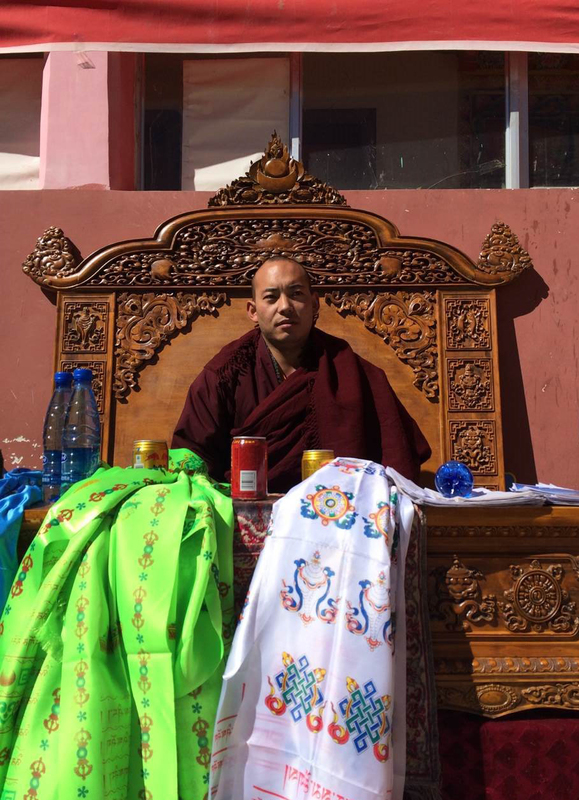 The graduation ceremony was presided over by the Twelfth Trungpa, Chökyi Senge Rinpoche, who gave khatas, or colored silk scarves, to students during the award ceremony. Approximately 120 students attended this session of the Children’s Education Program. Exams were held in small groups outside in the shedra courtyard. The top students were selected for awards in each age group. There was a first, second, and third place in each group–offered white, green and blue khatas respectively. Each student was also given a certificate and small cash award. 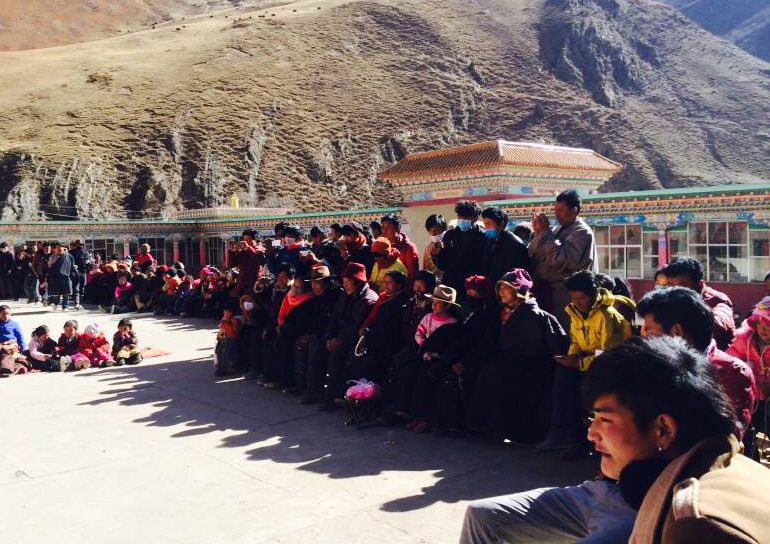 Families from the surrounding Surmang Valley were in attendance for the graduation event at the Surmang Shedra complex. 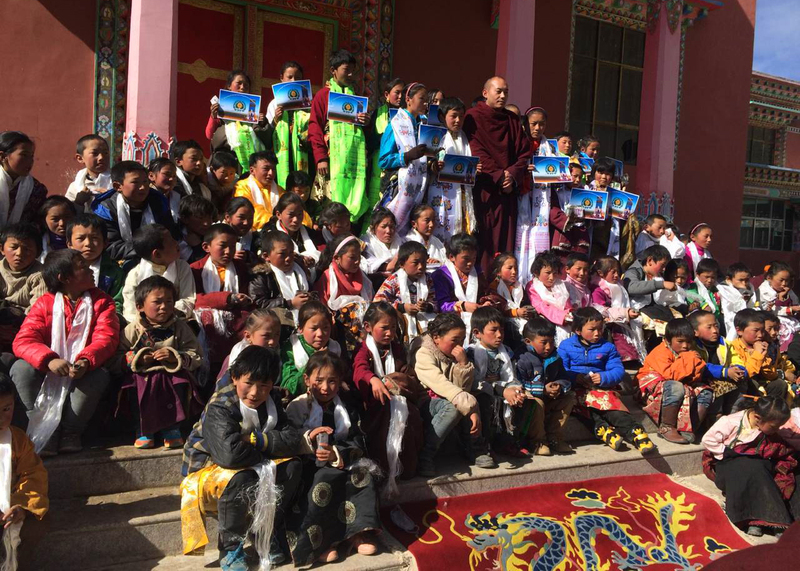 The Twelfth Trungpa stands with the children for a graduation photo. This is the culmination of the school year for the Children’s Education program. 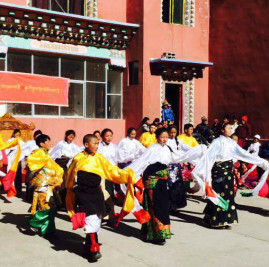 In addition to their study of reading and writing the Tibetan language, children learn traditional Tibetan dancing during the school year and perform in costume at the graduation ceremony.